Legal Services - De website van embacr-nl! There are two different types of procedures, depending on the content of the power of attorney: authentication of an existent power of attorney or signing a new power of attorney in the Consul's log book. Please contact your attorney in Costa Rica to help you understand which is the applicable procedure in your case. Send a draft in Ms Word format written by a lawyer in Costa Rica, specifying the content of the power of attorney to the email consulate@embacr.nl. A valid passport from the person signing the power of attorney. The person who will sign the power of attorney is acting on his/her capacity of (President, Vice-president, Secretary, etc) of the entity (Company name), a corporation organized and existing under the laws of The Netherlands. That the entity (Company name), a corporation organized and existing under the laws of The Netherlands, located at _________, is duly organized, has present legal existence and that the purposes for which the power of attorney is granted are within the scope of its corporate purposes. That the person who is signing, has in fact the referred authority and that his/her representation is legal. This notarial certification should follow the authentication process. 5. A photocopy of a valid passport of the person who receives the power in Costa Rica (if he/she is Costa Rican, then present a photocopy of his/her cédula de identidad). Once you have these documents, please contact the Consulate for an appointment. 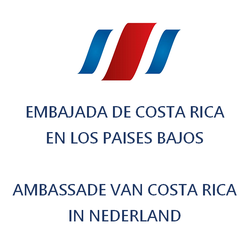 Name: Consulate of Costa Rica. Once you are granted the power of attorney, it should be taken to the Ministry of Foreign Affairs in Costa Rica to authenticate the signature of the Consul. Depending on the type of power, it may need to be taken to the National Registry. If you are Costa Rican, you must present the original and photocopy of your valid I.D. card (cédula). If you are a foreigner, you must present your own valid passport. A photocopy of the document of identity of the person who receives the power in Costa Rica (if he/she is Costa Rican, then present a photocopy of his/her cédula de identidad). The draft must included the following information of yourself and the person who receives the power: Complete name, I.D. number, Occupation, Marital status (if you were married or divorced, how many times), Exact address. If the power is meant to authorize the sale of a property, you should also present a current (6 months) certification issued by the Costa Rica's National Registry. Time: the appointment may last up to one hour. Once you are granted the power, it should be taken to the Ministry of Foreign Affairs in Costa Rica to authenticate the signature of the Consul. Depending on the type of power, it may need to be taken to the National Registry.